Grab your favorite Celtic outfit and head on down to your local Ren Fair to show off your new Celtic Triquetra Dagger! This lightly adorned blade sports an old-world appearance, thanks to its medieval Celtic design and decoration! 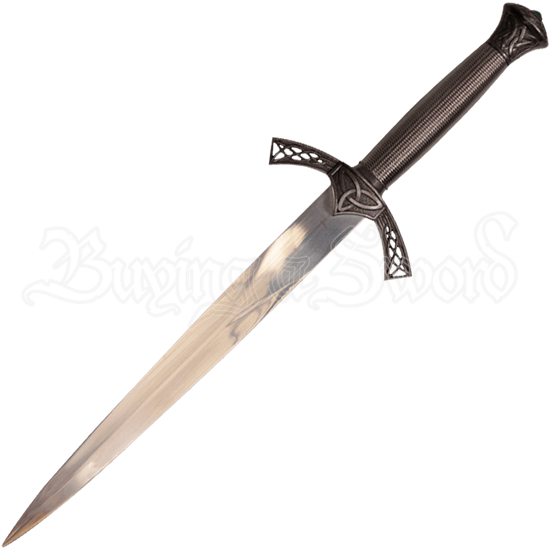 This stainless-steel blade is crafted with a straight, double-edged design, and possesses a curved crossguard and a wire wrapped hilt, both of which sport an antiqued finish. The crossguard of this handsome dagger is decorated with a large triquetra at its center, and a hollow crosshatched pattern on the arms. 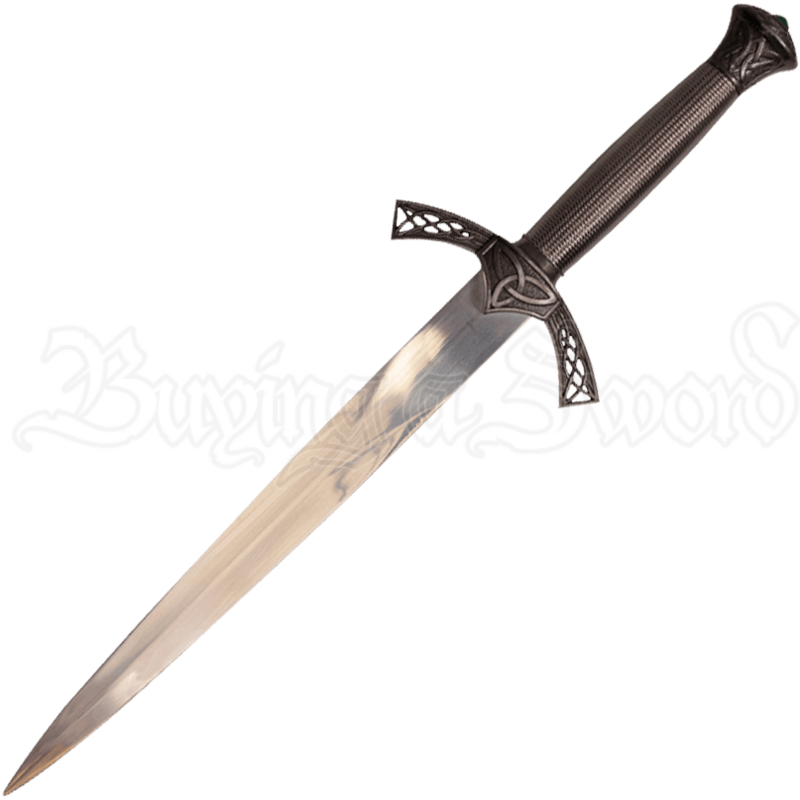 The handle of the blade possesses a wire wrapped appearance, and the pommel is of a short scent stopper style that has been decorated with Celtic knotwork. The scabbard that this Celtic dagger comes with is capped with metal fixtures that bears the same finish as the dagger hilt. Both caps are decorated with intricate knotwork designs. This dagger is the perfect addition to any collection or Ren Fair costume and makes a great gift for fans of the Celtic style and blades!